Aileen Waton's career in nursing is far removed from the one she originally wanted to pursue, in interior design. Now Bupa UK area manager in Glasgow, Ms Waton had not thought she would become a nurse when she was growing up, and she decidedly did not want to work in a care home. After failing to get the grades she needed for art school, Ms Waton considered her other options. 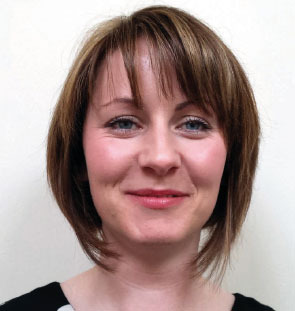 Her interest in mental health and psychiatry led her to specialise in personality disorders as part of a nursing degree at Paisley University, now the University of the West of Scotland. On qualifying as a nurse, she struggled to find a suitable job, but began working nights as a staff nurse at Bupa’s Fullerton care home in Ayrshire. Within a year and a half Ms Waton had become a unit manager at the home and was looking after 25 residents. Since then, Ms Waton has worked in various roles, including home manager and regional support manager, in different care homes in Scotland, but she has never worked for the NHS. Even though Ms Waton did not relish the thought of care home work before embarking on her career, one of her ambitions now is to change people’s views about the sector. ‘There is a perception that we work in a low-skill environment and do not provide a high level of care, but the opposite is true,’ she says. Ms Waton has observed how nursing students on placements often arrive at her care homes with a negative impression of the sector. To change these perceptions she hopes to develop a closer rapport between the NHS, universities and social care. ‘We are going to universities to try to change the message before the students have heard it,’ she explains. She says that, as well as offering a structured and supported career path, her care homes offer bonuses and overtime incentives, pay nurse-registration fees and consider succession planning. Staff can also ‘buy’ extra holiday time. Ms Waton is proud of the work she has done in the two and a half years she has managed the Glasgow team. All nine of the homes she leads have become compliant with the Care Inspectorate during this time and have been given higher grades for their standards of care.